You are probably saying to yourself, electric utilities and other companies have been reporting their greenhouse gas (GHG) emissions for years in sustainability reports and to corporate reporting initiatives. They can use the GHG Protocol corporate guidance and ISO 14064-1. You may even know of the Climate Registry, who offer a tailored emissions inventory protocol for the electric power industry. GHGMI was even part of the working group that developed this protocol ten years ago. Yet, I argue that the above thinking is wrong, or at least incomplete. Until now, proper methodological guidance has not existed for estimating a complete electric utility emissions inventory. First, we need to break down the problem. 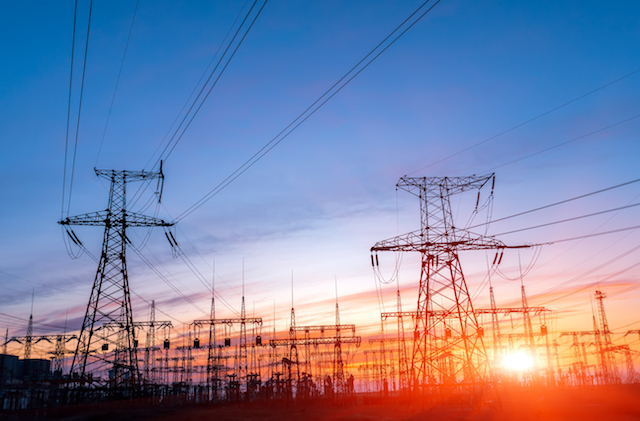 To supply electricity to their grid-connected retail customers, many electric utilities both generate power with their own assets (e.g., coal-fired plants, gas turbines, wind farms, etc.) and purchase power from other generators through wholesale transactions. Estimating emissions for a utility’s owned generation assets is obvious because the company has access to its own fuel use data, and so they can report at a facility-level. These are Scope 1 emissions for a utility. The missing methodological piece, however, is a method for calculating emissions associated with these wholesale power transactions to meet the demand of their retail customers. The reason for this accounting gap: modern-day competitive wholesale electricity markets. Currently, utilities either exclude the emissions associated with their wholesale purchases, or apply grid-wide averages. The problem is that these grid averages generally capture all grid connected generation, including that coming from the utility’s own generation and do not reflect the resource composition of the fraction of all generation transacted. As policy-makers, consumers, and investors increasingly demand climate action, electric utilities are adopting more ambitious voluntary GHG reduction targets. Therefore, this question is growing in relevance. And due to this increasing scrutiny, utilities are realizing that they do not have an accepted and comparable method to measure their corporate emissions, including wholesale power transactions, against their targets or competitors. For example, the issue is relevant in the USA because electric utilities submit integrated resources plans (IRPs) for approval to public utility commissions, which are now requiring GHG emissions be addressed in a technically rigorous manner. In the past, electricity markets were dominated by vertically-integrated utilities. But now in some jurisdictions these wholesale power transactions occur through markets established by a separate transmission grid system operator. For example, in the USA and Europe these operators organize the wholesale electricity market within their jurisdiction, as well as oversee the electricity transmission system and ensure system reliability. Generators sell electricity into the markets. Utilities that distribute electricity to end-use customers then buy electricity from these wholesale markets. Many of the same utilities may also generate electricity themselves and sell into these markets, thereby by also acting as generators. The critical challenge is that some power purchased from these wholesale electricity markets is undifferentiated, as it is essentially a mix of electric power generated by all the resources generating across the entire system at the time the electricity is used. Because of this fact, utilities that buy this power do not actually know the specific mix of resources supplying the electricity they purchase, or the GHG emissions associated with it. Even where a utility has a contractual power purchase agreement (PPA) with a generator for specific resources, such as wind, the actual electric power received at any given moment is determined by the mix of generation resources operating at that moment, and not those listed in a PPA. Until now, there has been a lack of methodological guidance on how to deal with this electric power industry uncertainty. Many utilities have struggled to not only report their own emissions, but to also then provide their customers with accurate information on the GHG intensity of their retail electricity purchases. Utilities and customers are no longer satisfied with generic grid averages. So, several months ago, GHGMI began working with the Electric Power Research Institute (EPRI) on a new study to answer this question and provide practical guidance. The resulting report can be downloaded below. This new methodological report fills this thorny gap in the filed of GHG accounting. This report is part of GHGMI’s Research Program, which operates to fill key gaps that are creating problems for GHG management professionals. The unifying theme of our Research Program and the Carbon Management journal is applied research that is focused on building the knowledge-base for GHG management implementation. Whereas much research on climate change has concentrated on climate science (e.g., atmospheric science and impacts) or policy issues (e.g., the economics of cap-and-trade), the Institute considers the questions that arise from the challenge of GHG management and climate policy implementation. You can see more GHGMI research publications here. In the USA these are Independent System Operators (ISOs) or Regional Transmission Organizations (RTOs). In Europe they are Transmission System Operators (TSOs).